Solid teak, thick teak veneer The Pierre Jeanneret Boomerang table is a fantastic piece of design. Pierre Jeanenret made it for Chandigarh. Like that it was designed a desk of big auction value. 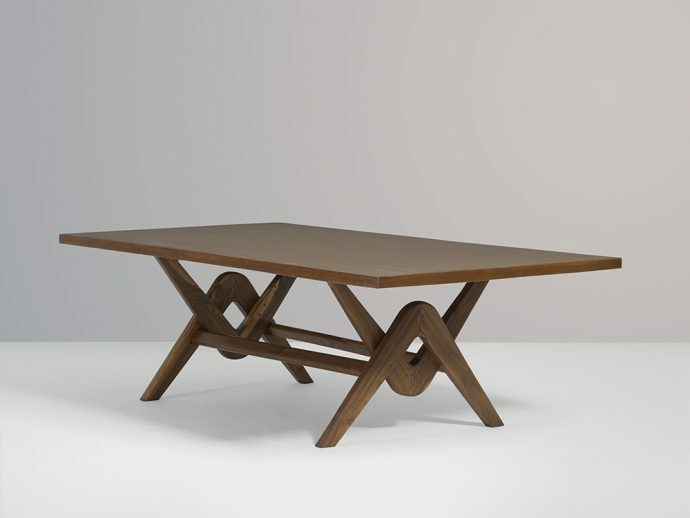 Le Corbusier Boomerang table is so unique. It is an authentic mid century designer piece. Teak is a wonderful wood. That furniture is a piece for collectors and also for interior desinger. That is a historical piece by Charlotte Perriand. That desk we offer in San Francisco or Los Angeles. New York is so opeen for design pieces. That objects of shape with that legs. Finally all great decisions are here.